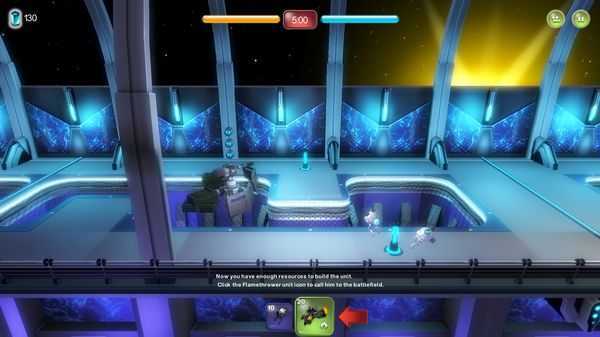 Alien Hallway is a totally new action- strategy shooting game for the PC developed by Alien Shooter series makers, Sigma Team company. 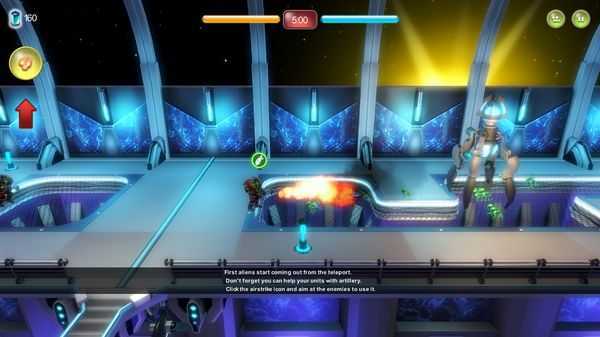 Here, in Sigma's adrenaline-fueled game, players measure stamina with a never-ending stream of green creatures within the borders of a special military mission. The rules are severe and the fate of Humanity is put on the line. Control an entire army in a challenging single-player campaign mode with a simple click of the mouse. With an approachable interface, players can go through a three-dimensional battlefields destroying the enemies with superpowered weapons, throwing various types of grenades, using airstrike skill, and upgrading both the base and the units. Players make serious decisions saving the soldiers and earning gold bonuses which are vital in this intense confrontation. Constantly changing settings and glow effects mixed with heavy, rythmic music add life to the game and keeps you captivated - you'll be hooked! Key features: Dynamic Single-Player Campaign - A Captivating atmosphere of unknown Planets full of suspense and tension serves as an arena for endless fights between Humans and Aliens! 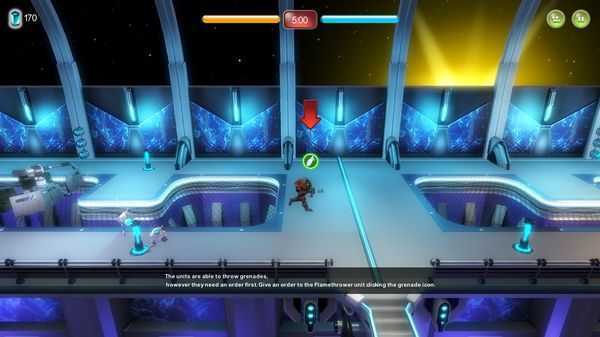 Easy Mouse Control - Easy to learn controls make the game attractive for all kinds of players - Attack, upgrade, and buy items with just a click of the mouse. Plain Navigation - Explore the battlefield effortlessly by simply moving the mouse sideways. Scroll the mouse-wheel to zoom. 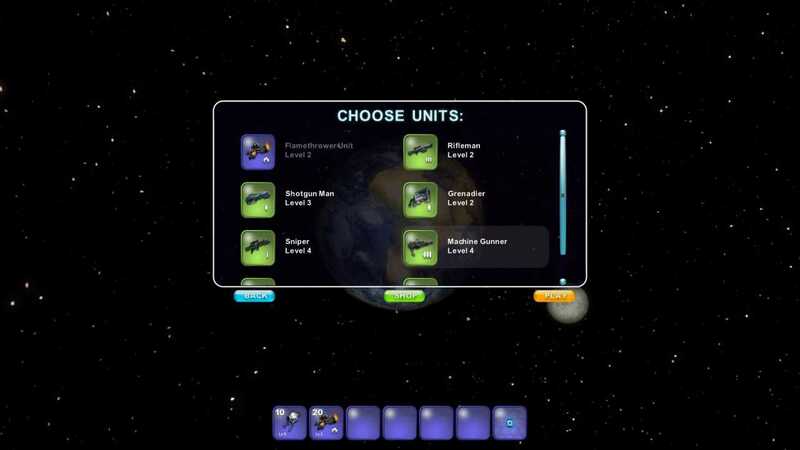 Unlimited ability to upgrade your skills and weapons - Players are able to intensify skills by upgrading the base and the units in the shop: unlock blocked slots, increase air strike skills, add gold bonuses, decrease cool times, upgrade turrets and expand energy cell capacity. Unique characters - What's unique? Watch classic green-headed aliens. The whole race from larva till adults is reproduced.